A commercial renovation is an important aspect of a business’s growth, and important to the reinvention of the brand and the organization; a commercial reno is more than just a construction project you can trust anybody with. That’s why you need to be able to strategically gauge if a contractor is right for your commercial renovation plans. You’ve got to be able to trust your contractor, collaborate with them, and feel confident in their ability to deliver on their promises – as well as make your vision come to life. 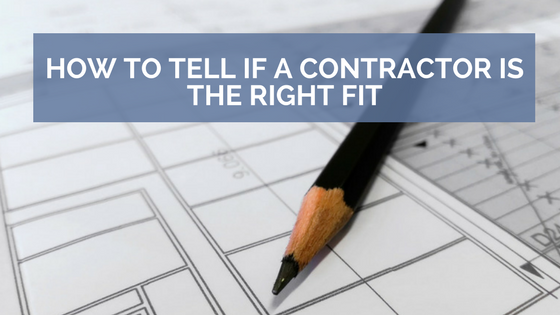 In this post, we’ll outline some sure-fire ways to help you tell if a contractor is right for your commercial renovation. Straight up – ask to see evidence of their credentials. Inquire about insurance policies that they hold, training and safety certifications, first aid, architectural licenses, awards, etc. Every bit of information and credential that a contractor can willingly provide will inevitably help you and your business feel more confident in dealing with them. 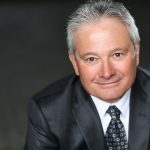 Credentials demonstrate commitment, intellect, trust, and expertise on the part of your contractor – without them, who’s to say that your contractor isn’t just a crew of hodge-podge labourers? Plus, a respectable and professional contractor will be more than happy to present you anything you request. If a contractor shows hesitation to show their licensing or proof of insurance, walk away. These are not the right people for your project. The right contractor for any job is one that shares and understands your creative vision for your space. In the realm of commercial renovations, the right contractor for the job will – and should – be able to not only understand spatially and creatively your objectives, but they should also be able to contribute positive ideas and constructive criticisms that will help to advance and streamline the design/build process. One of the benefits of hiring a design & build firm, for example, is the distinct preliminary stages that helps to outline the approach that the contractor will take. This is great for fostering a collaborative relationship that’s all about satisfaction, efficiency, creativity – and fun. There’s no reason why you should settle for a contractor who is resistant to your ideas – if they don’t like your ideas, find one that does. When you begin to research and cross compare various contractors, take stock of what types of renovations they’ve completed in the past. If they have a track record of completing pretty straight forward renovation jobs and lack a degree of artistic inspiration, ask them about the types of jobs they typically take on, and what kinds of jobs they have less experience with. You may find that a contractor is eager to sink their teeth into a job that gives them some creative freedom. This collaborative spirit can help to make a contractor a good match for your renovation, and may give them the reigns to ‘wow’ a client in ways they’ve not had the opportunity to do in the past. These reviews and ratings will help you to gauge what to expect from your upcoming experience. Remember to take these with a grain of salt as well; the internet can be a readily accessible platform for disgruntled comments and spam – one or two negative reviews should not overrule 30 positive experiences. Remember that the circumstances behind all renovations and building projects are different, and clashing personalities may be to blame, not quality of work. However, if there’s a considerable slew of so-so reviews, consider asking yourself if dealing with that particular contractor is the best idea for your business. Birds of a feather flock together – a good contractor will only hire and deal with like-minded sub contractors and will ultimately garner a positive, professional and prompt response from building code inspectors, so selecting a contractor that plays well with others is an important part of the hiring process for any commercial outfit. Lastly – trust your instincts. If a contractor shows up to the initial consultation or meeting a few minutes late with a fresh coffee in hand, chances are they’ll have little respect for your time from the get-go. Your business is your pride and joy – and you should feel good about choosing a contractor that respects the importance of a job well done. Go with your gut when trusting someone with the structural and aesthetic appeal of your commercial renovation. Selecting a contractor with a few flaws is more than OK – nobody’s perfect – but keep in mind that first impressions do matter. The right contractor should inspire you with confidence, professionalism, and capability; you should walk away feeling excited and optimistic about your proposed time working together. If you have to dig to find those qualities, it’s probably best to keep searching.